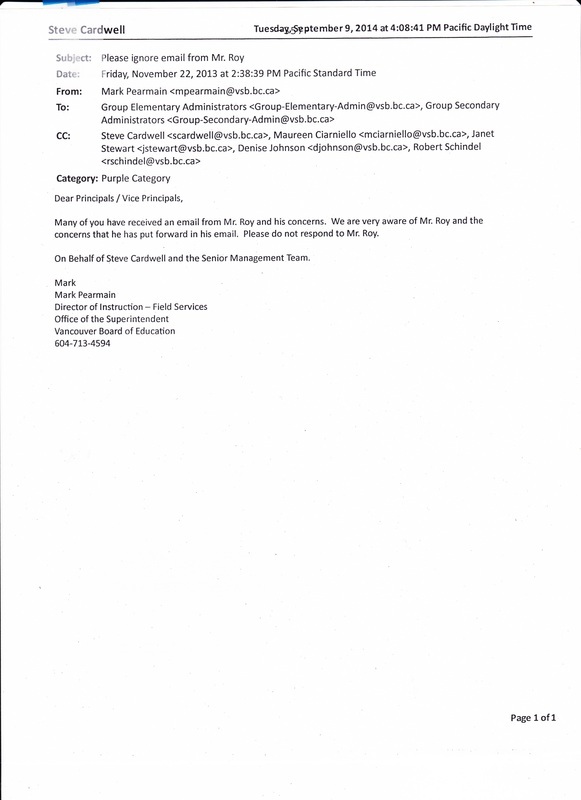 VSB sends mass emails to ignore Mr Roy - BC Governance banning parents from their own children. Banned for reaching out to the news media & exposing Gov. misfeasance of the public' s trust !. BC Governance banning parents from their own children. Banned for reaching out to the news media & exposing Gov. misfeasance of the public' s trust !. 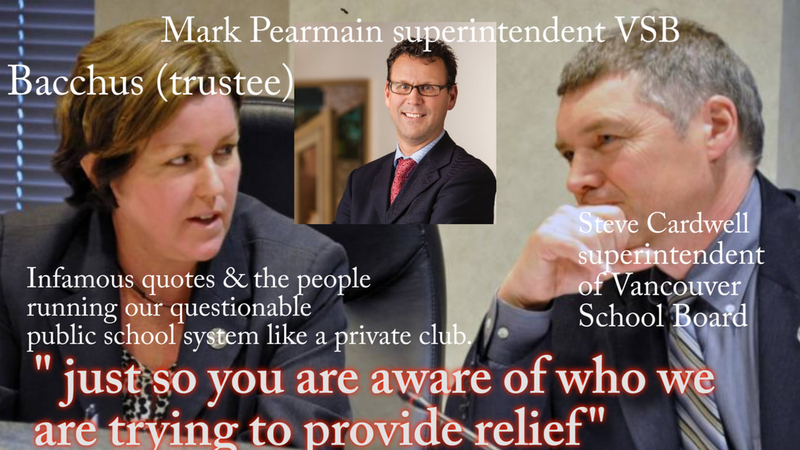 VSB superintendent Steve telling Patti Bachus to do ? VSB telling a fib ? Disturbing to know that Mark Pearmain was soon mysteriously promoted to North Vancouver School district superintendent at a salary of $237,119.00 after sending out this mass email to ignore 1) human rights issue 2) human rights issue BCCPAC brought up years previous. (click on green for links). Another shocking email from VSB management click here.